Are You on Your Hero’s Journey? Have you ever stopped to think about what it would take for you to become the absolute best version of yourself? Like really — what would you get to do to step into your true brilliance? I remember what it was like 8 years ago when I said “enough” to the long work hours and stress-filled job I had held for almost 11 years. It was killing my soul each and every day and I wasn’t going to do it anymore. I knew that I was capable of more and that a joyful life of fulfillment was out there waiting for me to show up. Now you might be asking yourself, what is a hero’s journey exactly? There are lots of transformational experts out there with their own definitions and thoughts about what it is, and for me it starts with a simple (notice I said “simple” not easy!!!) desire to be your best self and a willingness to show up with all of who you are. Claim Your Life as Your Own – In my experience (both personally and in observing others), the hero’s journey really gets started when you’re willing to look at your life from a place of being accountable and responsible for your results. Yes, we live in a world where bad things happen and things aren’t always rosy, however in the end the only way to take charge of your life is to really claim it and be willing to own it. Gone are the days of pointing fingers at others or “the system” as the reasons for your troubles, you get to be the captain of your ship and steer it (the good, the bad, and the ugly)! Go Against the Grain – When the fish are all swimming upstream, it doesn’t seem to make all that much sense to swim downstream does it? Yet charting our own course and creating our own boundaries and “rules” for our life (financial or otherwise) is what it takes to transform our experience beyond the status quo. Because honestly if you do what everyone else is doing you’re going to get the same results…which is pretty much what status quo means (I think of status quo as that “ho-hum-just-getting-by” sort of feeling)! Defying convention and thinking outside the box are hallmark components of what it takes to be on your hero’s path and transform your life. Dream BIG – While I don’t want to get into a lecture here about spirituality and quantum physics (both because it would be wicked long and because I’m not an expert), let’s just say that the Universe is set up to have you win. And I watch people every day (I used to be one of them) just accept what shows up at their doorstep instead of really deciding what they want and going for it. We are co-creators of our experience with the Universe, and when we play small we aren’t giving the Universe an opportunity to support us in our dreams. So dream BIG, and don’t be afraid to fail while you course correct along the way! Allow Yourself to Be Supported – So you’ve staked your claim on the life of your dreams, decided you’re willing to get messy, you’re swimming downstream, and you’re taking leaps to dream big – perhaps it’s a good idea to ask for some support? And even better than asking for support, you actually get to allow support (this is always an interesting one for me and I’m getting better at it!). As the sayings go, “Rome wasn’t built in a day” and “it takes a village” – let your dreams be lifted by others and stop pretending that you’ve “got this” on your own all the time. When you try to do things on your own, you block the natural flow of abundance into your life. So, based on the steps noted above, would you say you’re on your hero’s path? 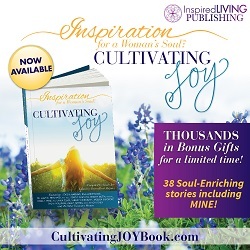 Or are you mired in the everyday status quo of life and craving adventure, joy, fulfillment? Perhaps you’re somewhere on the path and feeling a bit stuck? If you are indeed mired in the status quo of life (or what I like to call “Groundhog Day” where everything looks and feels the same all…the…time) or you’re stuck, what will it take for you to take the brave next step to claim your life as your own? Are you willing to leave behind what is holding you back and transform into who you are meant to become? If you’re feeling the urge to pursue the best version of yourself, watch this video that details the hero’s path in greater detail. I hope that it inspires you. And remember, it is never too late to bravely step into your amazing future!